the camera came out to follow progress. 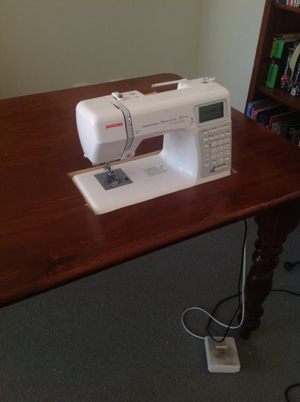 This was my sewing machine a couple of hours ago. Retromummy a few weeks ago came into play. 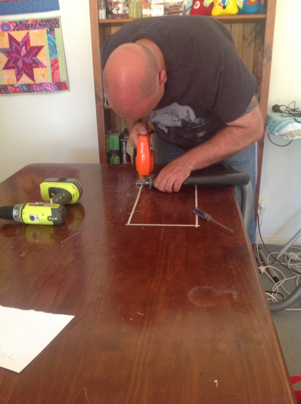 Let me just add that the "1 Male and Power tools"
don't play very often so this was a bit risky! it really is of no use if it doesn't! 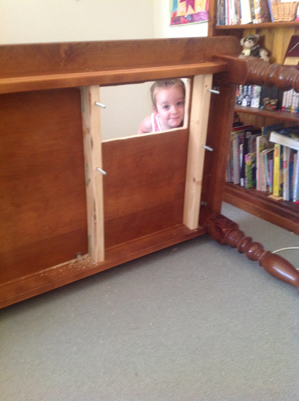 "Look Mummy, Daddy made a hole"
than the silly Janome extension table that moved around. Is Glenn for hire?! 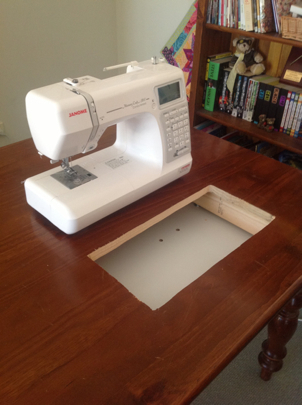 It looks fantastic, the best sewing table idea I've seen in ages! Genius! When is he coming to Melbourne, please??!! And I love the new header too! hooray, what a great idea! Great job Glenn. You'd better watch out. There maybe some orders heading your way! LOL! What a great husband! Please pass along my compliments on a job well done! Isn't it great when the man of the house is able and willing to do jobs like this? (It's just one less thing that *you* would need to do!). Fantastic. The new table is great. Fabulous idea. Well done Glenn....I hope she rewarded you! Excellent, well done Glenn,are you planning a trip to England any time soon. Yep - definitely a keeper! What a great way to start the new year. And I love your new blog header - not that you are a fan of Bonny and Camille at all! That is fantastic! 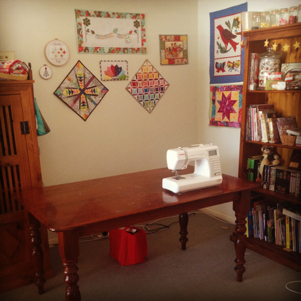 I am going to show my hubby...but I probably need to get a different table as I am using my grandparents old dining table which is antique! 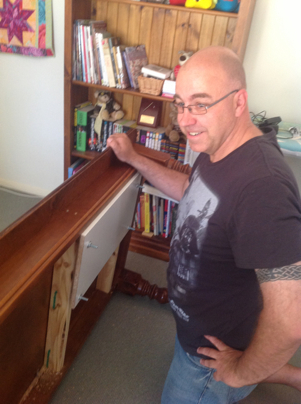 What a handy man he is to have around! Your new header looks great too! 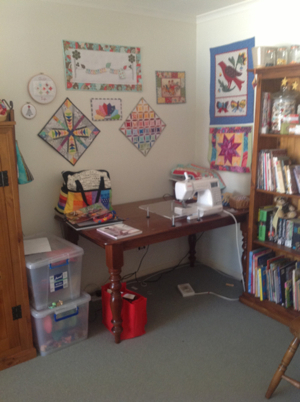 Awesomeness :D Quilt hubbies can be the best. Fantastic! You will enjoy this I'm sure! 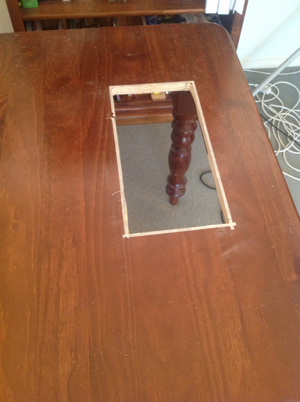 How scary was it putting that initial hole in the table?! Oh, good for you! You will love that. My DH did that for me a few years back. I don't know how I ever got along without it all those years. Yay Glen ! There will be no stopping you now!